Indonesian media, data, and online research company Katadata today announced that it has raised an undisclosed funding led by East Ventures. Existing investors such as Emerging Media Opportunity Fund (EMOF) and public policy analyst Lin Che Wei also participated in this funding round, which was the third it has raised so far. The company plans to use the funding for data product development, using machine learning technology. “This is part of Katadata’s continued development step as a data-driven media. By utilising machine learning technology to our data system, we are able to generate in-depth news and data-based analysis which can assist business people, government and other stakeholders in a better decision-making,” said Katadata Co-Founder and CEO Metta Dharmasaputra in a press statement. “We are planning to launch this new product-based data by the end of the year,” he added. 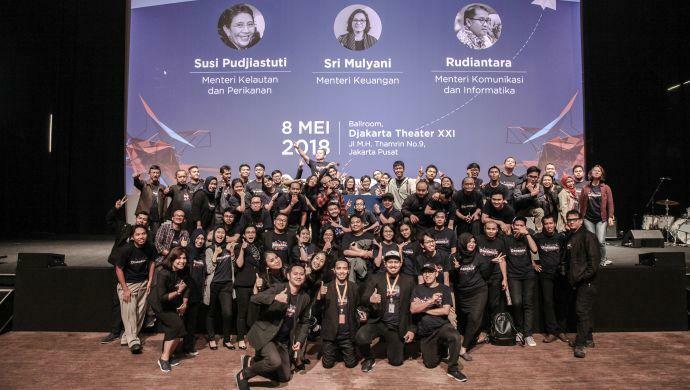 Founded in 2012 by Lin, Dharmasaputra, Heri Susanto, and Ade Wahyudi, Katadata offers in-depth economic and business information that is supported by data and analysis. In addition to texts, their content are also being published in the forms of infographic and video. Commenting on the investment, East Ventures Managing Partner Willson Cuaca highlighted the issue of accountability faced by the media industry today. “With fast moving digital media all around us, much of today’s news coverage is not properly vetted and fact-checked, and yet, it is widely disseminated nonetheless. A modernised ‘news authority’ is required to bridge the gap between our current technology and our societal need for reliable reporting,” he said. East Ventures is a venture capital firm investing in early stage startups in Southeast Asia and Japan. Lin himself is one of the leading financial and public policy analysts in Indonesia. In addition to WI Carr, Deustche Bank Group and Societe Generale, Che Wei served as CEO of Danareksa. Currently, he is CEO of Independent Research & Advisory Indonesia, which he founded, in addition to being Policy Advisor in the Coordinating Ministry for Economic Affairs and the Ministry of Agrarian Affairs. The post East Ventures leads investment into Indonesian media, data company Katadata appeared first on e27.